“There’s gold in them thar hills, boys” is a phrase attributed to one of Mark Twain’s characters. In California during its “Gold Rush” period, Twain kept hearing a story from the miners who had come from Georgia. It seems in an attempt to keep the miners in Georgia an assayer of the Dahlonega Mint in Dahlonega, Georgia stood in the town square and proclaimed “Why go to California? In that ridge (as he pointed to the hills surrounding Dahlonega) lies more gold than man ever dreamt of. There’s millions in it.” Now, whether Twain used a writer’s license and deliberately changed the original quote or it was misquoted to him from the beginning makes no difference to the topic at hand. Both, Twain’s quote and the origins for it apply in getting more out of your dental software. Beneath the routine day to day tasks of billing, scheduling appointments and providing daily reports, lies informational gold. This information allows your office to provide your patients with superior service which in turn strengthens your relationship with them. Stronger relationships mean more referrals and an increase in revenue. Your software should be able to track these referrals and remind you to thank your patients for them. Even better your software should offer you a means to send out these thank you notes either by mail or e-mail. In addition to providing you with more revenue through tracking and providing reminders for cancelled and missed appointments, unscheduled recall and predeterminations, as well as increased patient referral, integration of your dental software will reduce administrative errors and provide greater management control with fewer front desk hours. There is an axiom in software development called the 90/10 rule and it stands for 90% of any software users will only ever use 10% of the software’s capabilities. Although the percentage may vary from software to software, I have found this axiom to be quite true. 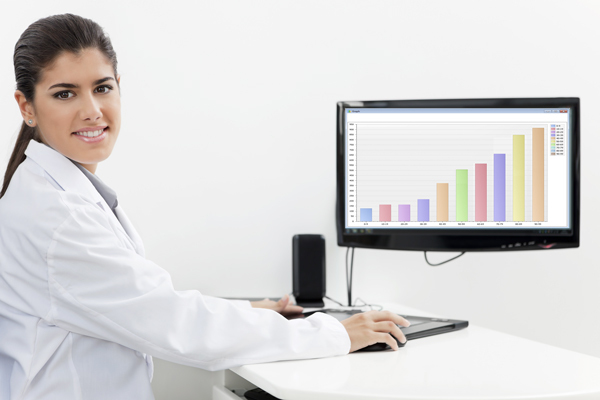 Even in software as specialized as dental software, I have noticed that most offices do not take full advantage of most of what their dental software has to offer. After learning the basics of entering patient information, billing and booking appointments they get caught up in the day to day operations. They will not take the time to look into other ways that the software can help them not only manage their current patients but get new ones. Remember to look for the potential untapped value that your software can bring to your dental practise, and find the gold laying just beneath the surface.